This is the twenty sixth in a series of reviews of the best dive resort locations around the world. In this post, the focus is the Isle of Man. Undersea World – Not well known outside of a circle of true aficionados is its outstanding scuba diving. There are good sites all around the island, but most of the organized diving is off the southern tip. There can be substantial tidal currents and plankton which helps provide nutrients for a variety of invertebrates like carpets of hydroids, anemones and soft corals, not to mention the largest of sea creatures including basking sharks and whales. In between is a full range of interesting adaptations to the specific ecology of the region. Aside from the aforementioned these are some undersea highlights: scallops, crabs, lobsters, conger eels, tompot blennies, deadman’s finger soft corals, plumose anemones, dahlia anemones, velvet swimming crabs, various nudibranchs, shoaling pollack, cod, ling cod, coal fish, mackerel, flounder, bullhuss, wrasses, lesser spotted dogfish, grey seals, porpoises, dolphins and orcas. In addition, there are a number of shipwrecks. Take care to have authorization to dive the wrecks that you choose. Some require a permit. Seasons and Conditions – There is diving suitable for all levels, with some sites having substantial drift and, of course, the water is cold. It is possible to dive year round, but most do it from May through September. Water temperature is at an annual low in March at 5-8°C (41-46°F). In August it reaches a high of 13-17°C (55-62°F). In the warm season many divers will be comfortable in a 3-5 mm wetsuit and hood. Off season a 7 mm wetsuit or drysuit with a thick hood, gloves and booties is recommended. You should make sure you are well prepared and have appropriate training and experience with the correct gear. Additionally, one of the big draws to Isle of Man diving is the excellent cold water visibility running from 10 meters (35 feet) to greater than 30 meters (100 feet). Here are two books with some detailed discussion of the Isle of Man dive sites. Please click on the cover photos for details. Isle of Man Airport, near Castletown, has regular 30 minute flights by 5 airlines connecting to Ireland, Northern Ireland, Scotland and England. From the airport, bus and rail service is available to destinations around the island. Although the lifestyle on the Isle of Man is modern, its rich heritage is a major attraction to tourists. Castles, ancient sites, landmarks, museums, galleries and exhibitions are a testament to Manx history. Outdoor activities are abundant including golf, hiking, climbing, cycling, fishing, horse riding, wildlife watching and other water sports. There are also the famous Isle of Man motorcycle races to watch at the end of May. This is amazing. It looks stunning and there seems to be so much to see. I have only been diving in warmer climates but this actually looks like a place I would enjoy going to. I wasn’t really aware that this part of the world offered such a variety of diving. I really like how you kind of set up a whole holiday pack with insurance and also things to do when not diving. I’m glad you enjoyed my post. Thanks for your positive comments. People can be turned off by the idea of cold water diving and may also believe incorrectly that the reef and underwater life will not compare to the warm water locations. The Isle of Man really dispels those notions. I hope you get a chance to go. If so, please let me know how it went. This is so useful and informative! 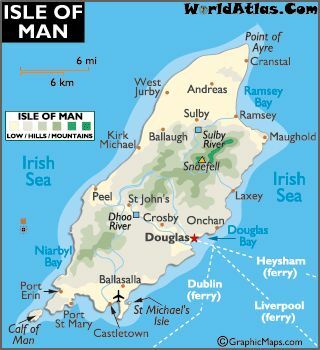 Isle of Man is on my bucket list and this is really helping me to envision my future trip. Thanks so much for all of the detailed scuba information – exactly what I was looking for! And the info on accommodations, other things to do, and photo opportunities are icing on the cake! I hope you get a chance to go to the Isle of Man. If you do, please let me know how it went. Also, if you have any questions about anything related to diving or dive travel, please get in touch. Most tourists love to travel to this kind of destination. The place may be great, beautiful and scenic, but how to get to that place safely and comfortably comes to one’s mind. You did the perfect job by identifying the Isle of Man Airport with the airlines giving their timing and the neighboring ports that are connected. The bus and rail service availability makes this place a good tourist destination in the world. Thanks a lot. It’s great to see positive comments. The Isle of Man is a pretty convenient and rich travel destination. I don’t know if you are a diver or not, but if you would like some advice about how and where to get training or anything about diving, please let me know. Looks like the Isle of Man is another hidden gem in the world of diving. I did a diving course when I was younger, but never took it much further. Reading now about the guided tours and the shipwrecks that are waiting to be explored has made me want to try again. And then watching that video – oh my word looks so beautiful. I would probably have to do a refresher course though. Reading further it looks like loads to do on the island too, which makes it a wonderful holiday destination. 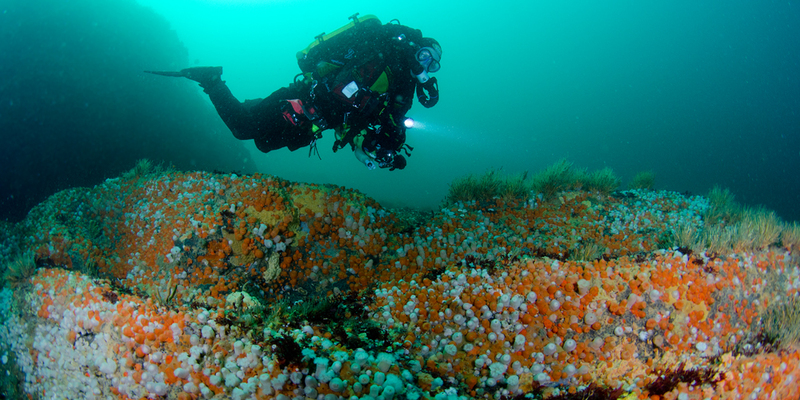 Because of the cold water, current and surface conditions it would be beneficial to tune up your diving a bit before going to some of the sites off the Isle of Man. Perhaps you could do it there. If not there are heaps of great places for diver training and review. If you would like some advice about where to conveniently do it, please get in touch. Well done, I admire your tenacity. Your blog has become the number one destination for all scuba diving needs. Most of the world’s best destinations have been reviewed by you and its still counting. The Isle of Man is another wonderful destination set for exploration. I also like the fact that there are lots of other exciting adventurous activities on the Isle of Man stemming from its rich culture and tradition. Good to see you again. Thanks so much for your kind comments. I hope you get a chance to get to some of these spots I’ve been reviewing.